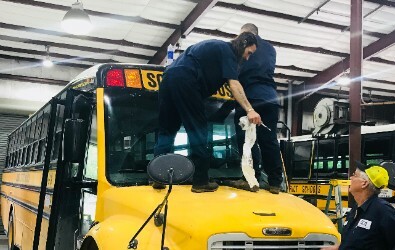 The guys have been working hard all Summer preparing our buses for the upcoming school year. They have been busy replacing decals, headlights and tuning up engines. Our fleet will be "ready to roll" August 13th! 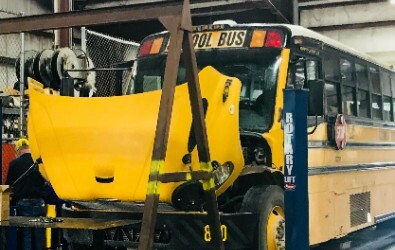 During the summer months the Transportation Department reroutes and reassigns buses where needed. Please do not assume your child will ride the same bus as he or she rode last year. If you have any questions concerning what bus your child will ride please contact the school your child attends. 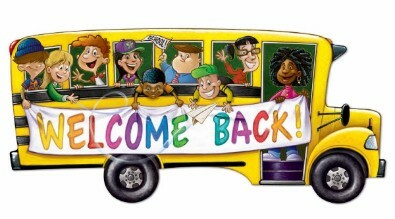 Remember school buses are transporting the most precious cargo, our children! 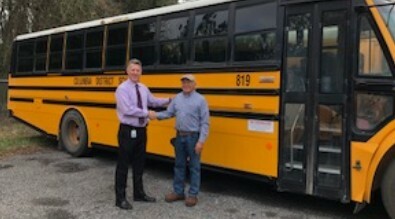 The State of Florida is a “No Fault” state, and injuries sustained by your child while on a school bus are covered under your Personal Injury Protection (PIP) coverage provided by your personal automobile policy. Please make sure you contact your automobile insurance carrier to report all injury claims.